The Application and other Services are not sponsored, endorsed, administered by, or associated with Apple Inc. or its subsidiaries or affiliates. NOTE THE SERVICES HAVE A MINIMUM CASH OUT THRESHOLD OF $100. YOU WILL NOT BE ABLE TO CASH OUT OR OTHERWISE RECEIVE ANY PRIZE AMOUNT (INCLUDING, PROMOTIONAL AWARDS) UNTIL YOUR ACCOUNT REACHES THE MINIMUM THRESHOLD OF $100. We may update the content on the Services from time to time, but content is not necessarily complete or up-to-date. Any of the material on the Services, including, without limitation, questions and answers, may be out of date at any given time, and we are under no obligation to update such material. We reserve the right to withdraw or amend the Services, and any material we provide on the Services, in our sole discretion without notice. We will not be liable if for any reason all or any part of the Services is unavailable at any time or for any period. From time to time, we may restrict access to some or all parts of the Services to users, including registered users. If for any reason the Services are not running as intended (for example, if they become corrupted or do not allow the proper usage and processing of entries in accordance with the rules, or if infected by a computer virus, bugs, tampering, unauthorized intervention, actions by entrants, fraud, technical failures, or any other causes of any kind, in the sole opinion of Company corrupts or affects the administration, security, fairness, integrity or proper conduct of the Services), Company reserves the right, in its sole discretion, to disqualify any individual implicated in or relating to the cause and/or to cancel, terminate, extend, modify or suspend the Services, and select the winner(s) from all eligible entries. If such cancellation, termination, modification or suspension occurs, notification may be posted on the Services. If you choose, or are provided with, a user name, password or any other piece of information as part of our security procedures, you must treat such information as confidential, and you must not disclose it to any other person or entity. You also acknowledge that your account is personal to you and agree not to provide any other person with access to the Services or portions of it using your user name, password or other security information. You are solely responsible for the activity that occurs on your account, and for keeping your account and login credentials secure. You may never use another person’s user account or registration information for the Services. You agree to notify us immediately of any unauthorized access to or use of your user name or password or any other breach of security. You must never publish, distribute or post login information for your account. The Services and all contents, features and functionality (including, without limitation, information, software, text, displays, images, video and audio, and the design, selection and arrangement thereof) contained therein, are owned by Company, its licensors or other providers of such material and are protected by United States and international copyright, trademark, patent, trade secret and other intellectual property or proprietary rights laws. Company names and all related names, logos, product and service names, designs and slogans are trademarks of Company or its affiliates or licensors. You must not use any such content or marks without the prior written permission of Company. Any funds held in your account will not accrue interest. You shall not treat the Services as a financial institution. You agree to provide, in case we demand, a notarized identification, or any other certified identification in accordance with the applicable laws of your jurisdiction. If such notarized or certified identification is not provided within 5 days of our request (or amount of time specified in such request), then the applicable Transaction shall not be affected, your account shall be closed and you shall forfeit all funds in your account. Any such decision shall be final and binding. To violate any Applicable Law or contractual duty, including, without limitation, for fraud or money laundering. To conduct criminal activities or utilize your account in connection with such activities or to deposit funds originating from criminal and/or illegal activities. To transmit, or procure the sending of, any unsolicited advertising or promotional material, including any “junk mail”, “chain letter” or “spam” or any other similar solicitation. For the purpose of exploiting, harming or attempting to exploit or harm any person in any way, including minors by exposing them to inappropriate content or asking for or otherwise obtaining personally identifiable or private information or otherwise. To impersonate or attempt to impersonate Company, a Company employee or representative, another user or any other person or entity (including, without limitation, by using e-mail addresses or user names associated with any of the foregoing). To engage in any other conduct that restricts or inhibits anyone’s use or enjoyment of the Services, or which, as determined by us, may harm Company or users of the Services or expose them to liability. In any manner that could disable, overburden, damage, or impair the site or interfere with any other party’s use of the Services. To use any bot, robot, spider, automatic device, algorithm, artificial intelligence, process or means to access the Services for any purpose, including monitoring, crawling, scraping or copying any of the material on the Services or to interpret, analyze, research, or gain information about a question or submit an answer to a question. To use any manual process to monitor or copy any of the material on the Services or for any other unauthorized purpose without our prior written consent. To introduce or send materials to introduce any viruses, trojan horses, worms, logic bombs or other material which is malicious or technologically harmful or otherwise attempt to gain unauthorized access to, interfere with, damage or disrupt any parts of the Services, the server on which the Services are stored, or any server, computer, database, password or other information. To attack the Services or a third-party service via a denial-of-service attack or a distributed denial-of-service attack. To commit any acts or display any conduct that damages the reputation of Company. To collude with another player or otherwise cheat. To promote or link to affiliate programs, multi-level marketing schemes or sites repurposing existing stories or off-topic content. Contains any material which is defamatory, obscene, indecent, abusive, vulgar, pornographic, profane, tortious, offensive, harassing, violent, hateful, inflammatory, depicts sexual activity, that you know is false, misleading, untruthful or inaccurate or that is otherwise objectionable or inappropriate, as determined by us in our sole discretion. Gives the false impression that content or a communication emanate from or are endorsed by us or any other person or entity. To otherwise attempt to interfere with the proper working of the Services. You shall not intentionally disconnect from a game while using the Services. If we determine, in our sole discretion, that you are in breach of this clause, we may terminate your access to the Services immediately and/or have your account blocked. If your account is terminated or blocked in such circumstances, we are under no obligation to refund or provide to you any funds that may be in your account. Gain unauthorized access to the Services’ systems or any account (other than your own), interfere with the communications, procedures or performance of the Services or deliberately damage or undermine the Services. Affect the outcome of game play by means of or with the assistance of automatic, macro, bots, automated programs, screen analysis utilities, any type of mods, memory readers, telepathy, alien technology or similar methods or to otherwise commit fraud in relation to the Services. Alter the human skill component of any game played. Create or operate multiple user accounts or multiple entries into the Services or a game, by any means, including multi-accounting. Should you attempt to open more than one account, under your own name or under any other name, or should you attempt to use the Services by means of any other person’s account, we will be entitled to immediately close all your accounts, retain all monies in such accounts and bar you from future use of the Services. Log an account into multiple devices simultaneously. Log an account into more than five different devices over the course of the history of the account. Log multiple accounts into a single device over the course of the history of any of the accounts. Enter into a game for which you are not eligible, whether by multi-accounting, providing misleading information, masking or altering your IP address, or other means. In the event of a game malfunction all prizes are void. In the event a game is started but miscarries because of a failure of the system, Company shall not refund the amount won in the game. If Company mistakenly credits you with winnings that do not belong to you, whether due to a technical or human error or error in the published pay tables or gaming software, or otherwise, the amount will remain property of Company and the amount will be deducted from your account. If prior to Company becoming aware of the error you have withdrawn funds that do not belong to you, without prejudice to other remedies and actions that may be available at law, the mistakenly paid amount will constitute a debt owed by you to Company. In the event of an incorrect crediting, you are obliged to notify Company immediately by email. You warrant that you are, based on the laws of your country of residence and otherwise, permitted to receive the possible prizes, including in particular a possible cash prize (if any), and in the event of a breach of this warranty, Company has the right to refuse to award any prizes. During a game, users answer questions set(s) with multiple choice answers. Users collect game points for every question answered correctly. User may collect game points to be used as boosters for finishing and collecting game achievements. Users collect lifetime points to be used on special games or events that may be announced within the Application. Game points are reset once a game is finished. Once a game is finished, a new game will start. A game prize is specified within the Application for each game. A cash game prize can range between $10 and $1,000 (or equivalent amounts in other currencies) and game prize is decided by Company at its sole discretion. A prize may be other than cash. Once a game is finished, the user with most game points will win the game prize. If multiple users have the same game points when a game is finished, the prize will be split equally between such users. Users may be asked to invite other users and share the Application with other users. Each user has a unique referral code. Sharing the Application or using the invite buttons/options will generate links with the user’s referral code embedded. Users may have the referral code automatically placed by the Application. Users with empty referral code may manually input another user’s referral code subject to in app game flow, rules and notifications. Award bonus points or bonus game rounds or game sets to users in different territories. Make available bonus question sets or bonus features in different territories. Award users with money amounts in their balance. Make available different game prizes in different territories. Offer additional game prizes to specific group(s) of users. Players should always note that each game has a limited time before it ends, and users have to log in and play before the time is over. There shall be a one-time winner within each 24-hour period. Once a game is finished, the game prize is placed in the winning user(s) account(s). A user must reach $100 in order to cash out any prizes. To cash out, the user(s) can claim or cash out the amounts once the cashout minimum threshold of $100 is reached. Company may change the minimum cash out threshold amount in Company’s sole discretion. Any promotional money/credits awarded by Company has a limited validity of 3 months (or other time period as may be specified with such promotion) starting the day it was awarded and will expire after. The user must have won at least 1 game. Winners may currently cash out winnings through PayPal. Company may make available other payout methods in Company’s sole discretion. It is a user’s sole responsibility to provide accurate and full information required to perform a cash out operation. Company may verify and query the user information by cross-checking with multiple databases before performing the amount transfer. Company may hold or refrain from transferring any amount to a user if for any reason the user’s data matches entries on blacklists, anti-money laundry lists, anti-terror list or any other compliance related list. A second compliance verification may be performed by banks, or other institution that is involved in the money transfer transaction. Cash out and money transfer currency will be decided by Company and communicated within the Services. Company may allow the users to select their preferred cash out currency. Company will transfer payment amounts as requested by users (subject to minimum cash out threshold requirements). Users will be responsible to bare the fees, costs, commissions or any sort of transction fees that might be applied by PayPal or other institution involved in the transfer transaction. Winners may be required to complete relevant tax forms or provide more information as a condition to the delivery of the applicable prize. Winners may also be required to furnish proof of identity, address and birth date in order to receive a prize. 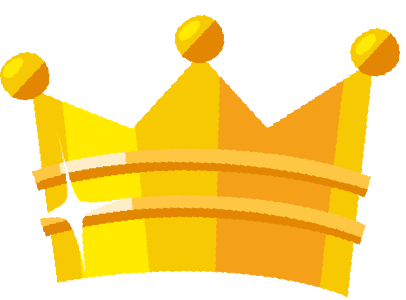 Unless prohibited by Applicable Law, your registration for a Service and/or use of the Application constitutes your permission to use your user name, likeness/profile picture/avatar, name, submissions, photograph, likeness, voice, address (city and state), testimonials, gameplay data and statistics, and any other information that regarding your game activity and winnings in all media and in any manner worldwide, including, without limitation, for display on the Services and Company’s social media accounts and otherwise for promotional, marketing and other commercial purposes, without additional compensation, approval rights or consent. You agree to fully cooperate with Company’s representatives in such regard. We respect the intellectual property rights of others and request that users of the Services respect the intellectual property rights of others as well. Pursuant to 17 U.S.C. 512(i) of the United States Copyright Act, we will remove any content that allegedly infringes another party’s copyright and reserve the right to suspend or terminate a user’s access to and use of the Service if a user is found to be a repeat infringer. If you believe your work has been copied and is accessible through the Services in a way that constitutes copyright infringement, you may notify our designated copyright agent (specified below) in writing with the following and in the form required by 17 U.S.C. 512 of the United States Copyright Act: (1) provide your physical or electronic signature; (2) identify the copyright work that you believe is being infringed; (3) identify the item in the Services that you think is infringing your work and include sufficient information about where the material is located on the website; (4) provide us a way to contact you, such as your address, phone number or email address; (5) provide a statement that you believe in good faith that the item you have identified as infringing is not authorized by the copyright owner, or its agent, or the law; and (6) provide a statement by you, made under penalty of perjury, that the information you provide in your notice is accurate, and that you are authorized to act on behalf of the copyright owner whose work is being infringed. If the Services contain services or links to other applications, content or services provided by third-parties, these applications, services, content and links are provided for your convenience only. This includes links contained in advertisements, including banner advertisements and sponsored links. We have no control over the contents of those sites or resources, and accept no responsibility for them or for any loss or damage that may arise from your use of them. All statements and/or opinions expressed in these materials, and all articles and responses to questions and other content, other than the content provided by Company, are solely the opinions and the responsibility of the person or entity providing those materials. These materials do not necessarily reflect the opinion of Company. We are not responsible, or liable to you or any third-party, for the content or accuracy of any materials provided by any third parties. If you decide to access any of the third-party sites linked to from the Services, you do so entirely at your own risk and subject to the terms and conditions of use and privacy policies for such third-party services. The Services are hosted in the United States. We make no claims that the Services or any of its content is accessible or appropriate or legal for use outside of the United States. Access to the Services may not be legal by certain persons or in certain countries. You accept sole responsibility for determining whether your use of the Services is legal in the country/region where you live and/or in any country/region where you log on to use the Services. If you access the Services from outside the United States, you do so on your own initiative and are responsible for compliance with local laws. The availability of the Services does not construe an offer or invitation by us to use the Services if you reside in a country or region in which such use is currently forbidden by law, or within any jurisdiction where Company, in its sole discretion, elects not to offer the Services. Company shall not be responsible for any illegal or unauthorized use of the Services by you as we are unable to verify the legality of use in each jurisdiction and it is your sole responsibility to verify the legality of using the Services prior to logging on to the Services. Please consult legal counsel in the applicable jurisdiction if you have any doubts about the legality of your use of the Services under the laws of any jurisdiction that applies to you. You acknowledge that certain countries/jurisdictions have laws regarding contests that may prevent Company from awarding you with a prize. If you are a winner and this happens to be the case with your country/jurisdiction, you acknowledge that you may not be able to receive any prize at all from Company. By entering a game and/or using the Services, you acknowledge the risks, and understand that you may win but not be able to receive a prize. YOUR USE OF THE SERVICES AND ANY CONTENT OR PRIZES OBTAINED THROUGH THE SERVICES IS AT YOUR OWN RISK. THE SITE, ITS CONTENT AND ANY SERVICES OR ITEMS OBTAINED THROUGH THE SITE ARE PROVIDED ON AN “AS IS” AND “AS AVAILABLE” BASIS, WITHOUT ANY WARRANTIES OF ANY KIND, EITHER EXPRESS OR IMPLIED. NEITHER COMPANY NOR ANY PERSON ASSOCIATED WITH COMPANY MAKES ANY WARRANTY OR REPRESENTATION WITH RESPECT TO THE COMPLETENESS, SECURITY, RELIABILITY, QUALITY, ACCURACY OR AVAILABILITY OF THE SITE. WITHOUT LIMITING THE FOREGOING, NEITHER COMPANY NOR ANYONE ASSOCIATED WITH COMPANY REPRESENTS OR WARRANTS THAT THE SITE, ITS CONTENT OR ANY SERVICES OR ITEMS OBTAINED THROUGH THE SERVICES WILL BE ACCURATE, RELIABLE, ERROR-FREE OR UNINTERRUPTED, THAT DEFECTS WILL BE CORRECTED, THAT OUR SERVICES OR THE SERVER THAT MAKES IT AVAILABLE ARE FREE OF VIRUSES OR OTHER HARMFUL COMPONENTS OR THAT THE SERVICES OR ANY CONTENT OR ITEMS OBTAINED THROUGH THE SERVICES WILL OTHERWISE MEET YOUR NEEDS OR EXPECTATIONS. COMPANY HEREBY DISCLAIMS ALL WARRANTIES OF ANY KIND, WHETHER EXPRESS OR IMPLIED, STATUTORY OR OTHERWISE, INCLUDING BUT NOT LIMITED TO ANY WARRANTIES OF MERCHANTABILITY, NON-INFRINGEMENT AND FITNESS FOR PARTICULAR PURPOSE. THE FOREGOING DOES NOT AFFECT ANY WARRANTIES WHICH CANNOT BE EXCLUDED OR LIMITED UNDER APPLICABLE LAW. YOU UNDERSTAND THAT WE CANNOT AND DO NOT GUARANTEE OR WARRANT THAT FILES AVAILABLE FOR DOWNLOADING FROM THE INTERNET OR THE SERVICES WILL BE FREE OF VIRUSES OR OTHER DESTRUCTIVE CODE. YOU ARE RESPONSIBLE FOR IMPLEMENTING SUFFICIENT PROCEDURES AND CHECKPOINTS TO SATISFY YOUR PARTICULAR REQUIREMENTS FOR ANTI-VIRUS PROTECTION AND ACCURACY OF DATA INPUT AND OUTPUT, AND FOR MAINTAINING A MEANS EXTERNAL TO OUR SERVICES FOR ANY RECONSTRUCTION OF ANY LOST DATA. WE WILL NOT BE LIABLE FOR ANY LOSS OR DAMAGE CAUSED BY A DISTRIBUTED DENIAL-OF-SERVICE ATTACK, VIRUSES OR OTHER TECHNOLOGICALLY HARMFUL MATERIAL THAT MAY INFECT YOUR COMPUTER EQUIPMENT, COMPUTER PROGRAMS, DATA OR OTHER PROPRIETARY MATERIAL DUE TO YOUR USE OF THE SERVICES OR ITEMS OBTAINED THROUGH THE SERVICES OR TO YOUR DOWNLOADING OF ANY MATERIAL POSTED ON IT, OR ON ANY SITE LINKED TO IT. IN NO EVENT WILL COMPANY, ITS AFFILIATES, RELATED PARTIES, ITS ADVERTISERS OR SPONSORS OR THEIR RESPECTIVE LICENSORS, SERVICE PROVIDERS, EMPLOYEES, AGENTS, OFFICERS OR DIRECTORS BE LIABLE FOR DAMAGES OF ANY KIND, UNDER ANY LEGAL THEORY, ARISING OUT OF OR IN CONNECTION WITH YOUR USE, OR INABILITY TO USE, THE SITE, ANY SITES LINKED TO IT, ANY CONTENT ON THE SERVICES OR SUCH OTHER SITES OR ANY SERVICES OR ITEMS OBTAINED THROUGH THE SERVICES OR SUCH OTHER SITES, INCLUDING ANY DIRECT, INDIRECT, SPECIAL, INCIDENTAL, CONSEQUENTIAL OR PUNITIVE DAMAGES, INCLUDING WITHOUT LIMITATION, PERSONAL INJURY, PAIN AND SUFFERING, EMOTIONAL DISTRESS, LOSS OF REVENUE, LOSS OF PROFITS, LOSS OF BUSINESS OR ANTICIPATED SAVINGS, LOSS OF USE, LOSS OF GOODWILL, LOSS OF DATA, AND WHETHER CAUSED BY TORT (INCLUDING NEGLIGENCE), BREACH OF CONTRACT OR OTHERWISE, EVEN IF FORESEEABLE. THE FOREGOING DOES NOT AFFECT ANY LIABILITY WHICH CANNOT BE EXCLUDED OR LIMITED UNDER APPLICABLE LAW. You and Company acknowledge and agree to abide by the following rules for arbitration: (a) YOU AND COMPANY MAY BRING CLAIMS AGAINST THE OTHER ONLY IN YOUR OR ITS INDIVIDUAL CAPACITY, AND NOT AS A PLAINTIFF OR CLASS MEMBER IN ANY PURPORTED CLASS, REPRESENTATIVE OR MULTI-CLAIMANT PROCEEDING, AND THE ARBITRATOR SHALL HAVE NO POWER TO AWARD CLASS-WIDE RELIEF; (b) Company will pay arbitration costs as required by the JAMS Consumer Arbitration Minimum Standards and consistent with paragraph 6 below; (c) the arbitrator may award any individual relief or individual remedies that are permitted by applicable law; and (d) each side pays his, her or its own attorneys’ fees, except as otherwise provided in paragraph 5 below. JAMS charges filing and other fees to conduct arbitrations. Ordinarily, the claimant has to pay the filing fee to initiate arbitration, but if you wish to commence an arbitration against Company, you and Company acknowledge and agree to abide by the following: (a) If you are seeking to recover less than $10,000 (inclusive of attorneys’ fees), Company will pay the filing fee on your behalf or reimburse your payment of it; (b) If you are seeking to recover $10,000 or more, you will have to pay the filing fee charged by JAMS, but Company will reimburse the filing fee if you prevail on all claims decided upon by the arbitrator; (c) Company and you agree that, if the claims to be arbitrated total less than $10,000 (inclusive of attorneys’ fees), the claim ordinarily should be decided on written submissions only, without a telephonic or in-person hearing. Company will not request a hearing for any claims totaling less than $10,000. This provision shall not be construed by the arbitrator to deprive you of any rights you may have to a telephonic or in-person hearing in your hometown area pursuant to the JAMS Rules; and (d) Company and you agree that, if the claims to be arbitrated total $10,000 or more, the arbitration will occur in a manner and place consistent with the JAMS Rules. Regardless of how the arbitration proceeds, each of you and Company shall cooperate in good faith in the exchange of non-privileged documents and information as necessary in accordance with the JAMS Rules, and the arbitrator shall issue a reasoned written decision sufficient to explain his or her findings and conclusions. Each of you and Company may incur attorneys’ fees during the arbitration. Each side agrees to pay his, her or its own attorneys' fees unless the claim(s) at issue permit the prevailing party to be paid its attorneys' fees, and in such instance, the fees awarded shall be determined by the applicable law(s). In addition to whatever rights you may have to recover your attorneys’ fees under applicable law, if you prevail in the arbitration, and if Company failed to make a settlement offer to you before the arbitration or the amount you win is at least 25% greater than Company’s highest settlement offer, then Company will pay your reasonable attorneys’ fees in addition to the amount the arbitrator awarded. If Company wins the arbitration, you will be responsible for your own attorneys’ fees. In addition, if the arbitrator, at the request of the winning party, finds that the losing party brought a claim or asserted a defense frivolously or for an improper purpose, then regardless of the amount in dispute, the arbitrator must order the losing party to pay both sides’ arbitration fees and may order the losing party to pay the winning party’s reasonable attorneys’ fees, unless such an award of fees is prohibited by Applicable Law. The arbitrator may award declaratory or injunctive relief only in favor of the individual party seeking relief and only to the extent necessary to provide relief warranted by that party's individual claim. The arbitrator may not order Company to pay any monies to or take any actions with respect to persons other than you, unless Company explicitly consents in advance, after an arbitrator is selected, to permit the arbitrator to enter such an order. Further, unless Company expressly agrees, the arbitrator may not consolidate other persons’ claims with yours and may not otherwise preside over any form of a representative, multi-claimant or class proceeding. You and Company agree to maintain the confidential nature of the arbitration proceeding and shall not disclose the fact of the arbitration, any documents exchanged as part of any mediation, proceedings of the arbitration, the arbitrator’s decision and the existence or amount of any award, except as may be necessary to prepare for or conduct the arbitration (in which case anyone becoming privy to confidential information must undertake to preserve its confidentiality), or except as may be necessary in connection with a court application for a provisional remedy, a judicial challenge to an award or its enforcement, or unless otherwise required by law or court order. BOTH YOU AND COMPANY WAIVE THE RIGHT TO BRING ANY CONTROVERSY, CLAIM OR DISPUTE ARISING OUT OF OR RELATING IN ANY WAY TO YOUR USE OF THE SERVICES OR PURCHASES THROUGH THE SERVICES AS A CLASS, CONSOLIDATED, REPRESENTATIVE, COLLECTIVE, OR PRIVATE ATTORNEY GENERAL ACTION, OR TO PARTICIPATE IN A CLASS, CONSOLIDATED, REPRESENTATIVE, COLLECTIVE, OR PRIVATE ATTORNEY GENERAL ACTION REGARDING ANY SUCH CLAIM BROUGHT BY ANYONE ELSE. You agree that you are solely responsible for your interactions with any other user in connection with the Services and Company will have no liability or responsibility with respect thereto. Company reserves the right, but has no obligation, to become involved in any way with disputes between you and any other user of the Services. All questions, feedback, comments, requests for technical support and other communications relating to the Services should be directed to: support@playandwinapp.com. Thank you for visiting the Services.